We are the association of proud United States Naval Academy Alumni who are gay, lesbian, bisexual and transgender joined by our supporters and friends. 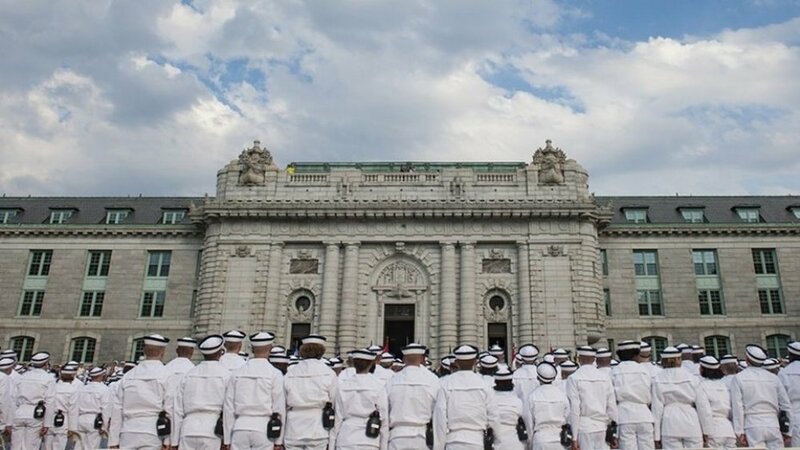 As one of the more organized groups of Academy alumni, we strive to provide a path for “reconnection” to the many LGBTQ USNA alumni who have over time been disassociated from the Academy and the USNA Alumni Association because of their sexuality or gender identity. We also are dedicated to doing our part to support the mission of the Academy to strengthen the margin of excellence in the development and training of our nation’s future leaders, particularly to ensure the dignity and respect of all who serve. The Faces of USNA Out was a project begun in 2007 to put a public face on who these LGBTQ graduates and alumni of the US Naval Academy really were. We understand the various phases and levels of being “out” .. first to yourself, then perhaps close friends, peers, parents, your professors and coach, your wardroom, to your division or squad, your office or to the world. Despite “Out” in our name, you don’t need to be out to join us. What matters is that you are you. Some of our members are still questioning, and many members are allies. Some registered members have opted to remain hidden from other members on our roster, but still have full access to our site and communications. USNA Out welcomes all USNA Alumni and other eligible individuals to join us. If you are not yet ready to join as a member, you can still take comfort in knowing that there are many other alumni & midshipmen just like you. If you are one of us, you can JOIN THE NETWORK OF OVER 400 LGBT ALUMNI AND ALLIES. Membership is open to all alumni of USNA. Associate Membership is available to USNA Out member spouses, USNA Faculty and Staff, Midshipmen and Parents of current and former midshipmen.